Your Finance Formulas: Invest or Pay Off Debt – Which Should I Do First? Invest or Pay Off Debt – Which Should I Do First? When evaluating your financial position, you may be wondering what will give you the best result in the long term. Many people feel that investing their money takes priority over eliminating debt, however there are a number of reasons why this approach can be troublesome. Here are a few important things to consider when you’re in the position to either invest or pay off your debt. Paying off debt isn’t easy, and often it takes many years of dedication and hard work to become debt free. It can be very tempting to invest your money instead and enjoy the returns of your venture, however you should always consider the big picture. By paying off your debts, you are ensuring that your credit rating stays in great shape and that you are in a strong financial position sooner. Investing always carries an inherent risk, and should it fail, you will find yourself back at square one with the added disadvantage of having your debt still hanging over you. When you are unsure of how to proceed, it pays to enlist the help of a professional. Agencies such as Fox Symes offer expert advice and assistance to anyone who is looking to improve their financial standing. The consultants will be able to individually assess your personal circumstances and help you to decide which will be the best way to proceed. One of the best ways to reduce your debt and take control of your finances is to consolidate. Debt consolidation combines all of your existing debt into one easy to maintain loan, allowing you to focus all of your efforts into paying it off faster. This means only one set of monthly fees, and often a far lower rate of interest than you may currently be paying. Once your debt is consolidated, you can assess the situation and see whether you should keep trying to pay it off as fast as possible, or if you would prefer to take the gamble of making an investment. One of the benefits of eliminating your debt is that you ensure your credit rating is protected. This is especially important for anyone who is looking to apply for a home loan, and is trying to rid themselves of their personal debt. By reducing what you owe and working towards saving a significant deposit, you present a far more stable application than someone who has several different personal debts yet has chosen to invest. With these things all in mind, you can start to make an informed decision about your finances. 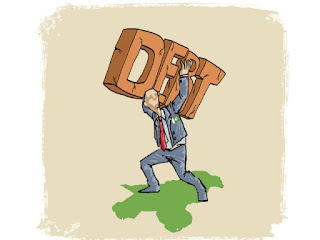 Remember that by eliminating debt, you are setting yourself up to have a strong financial foundation in the future. For more advice on strategies to reduce debt, budgeting advice or general financial assistance, check out Fox Symes. With some professional help, you will be able to find the right solution for your financial needs.